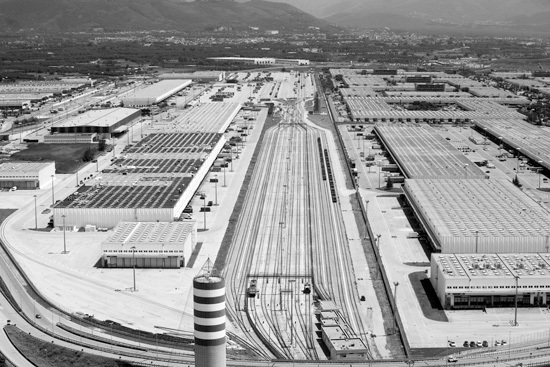 This project was the brainchild of some entrepreneurs from the region of Campania, who worked in the field of wholesale in a neighbourhood in the historical centre of Naples. 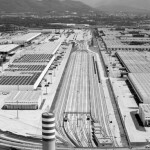 These entrepreneurs understood that certain logistical limitations in the historical centre of Naples would severely compromise their business. 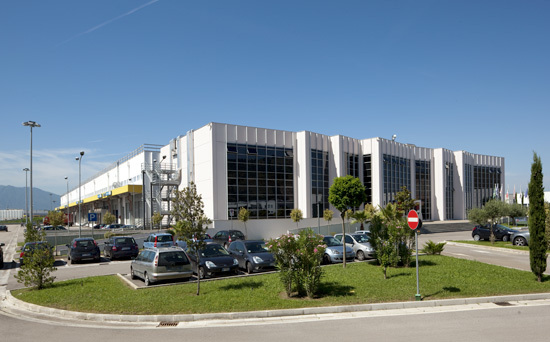 To this end, they thought to move their business to a place that would definitely help them to cope with the difficulties of customer parking, loading and unloading goods and the resulting storage; that place was located in the territory of Nola on the outskirts of Naples. 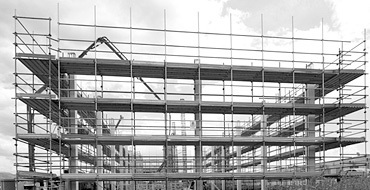 Thus, in 1996 the CIS of Nola was born, founded by an initial group of twelve which has since grown to number approximately 320 entrepreneurs. 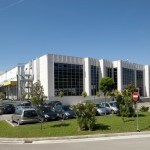 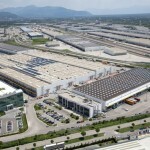 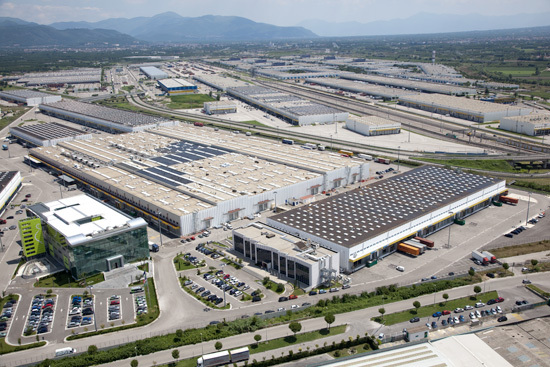 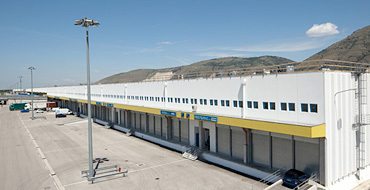 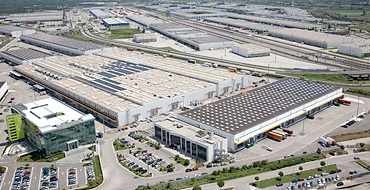 The entrepreneurs of CIS, exploiting the opportunities granted by the “GENERAL TRANSPORT PLAN”, founded the Campano Industrial Estate in 1999, an intermodal transport and logistics terminal among the most important in Italy and Europe. 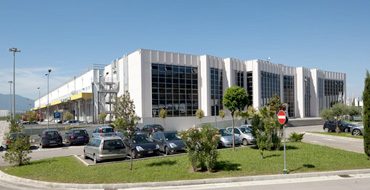 In this context, Costruire s.p.a. supervised the construction of office buildings, as well as five warehouses to be used for commercial service. 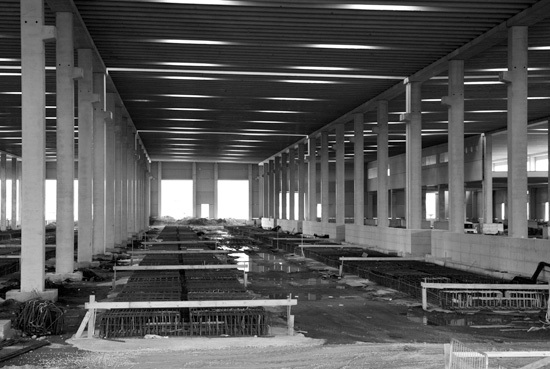 The administrative offices committed about 13,110m3 over three levels to this project for a total surface above ground of 3,420m2. 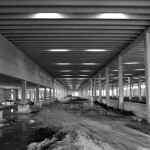 In addition, a basement of about 1,140m2 (with an accompanying garage) was also included. 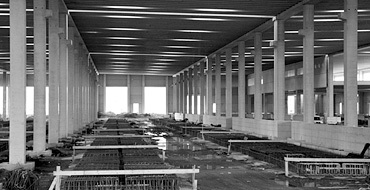 The bearing structure of the building is of pre-stressed concrete and reinforced concrete; the facades of the building were made using the ‘curtain wall’ system. 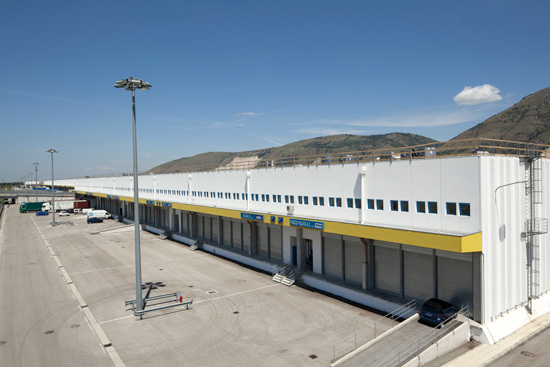 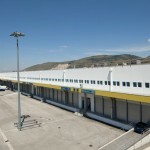 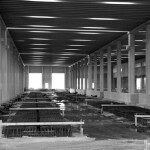 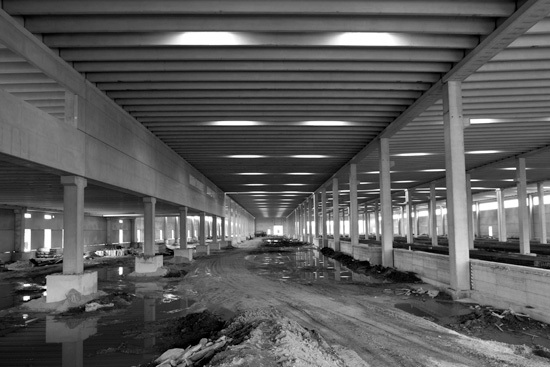 The construction of five halls inside the industrial estate, located on an area of approximately 60,000m2 is primarily for commercial use. 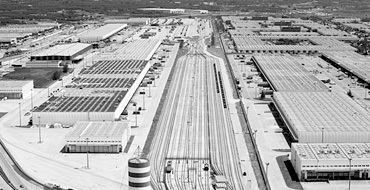 When other developments are considered, such as the basic supporting infrastructure on the surrounding land, the total land area swells to roughly 80,000m2. 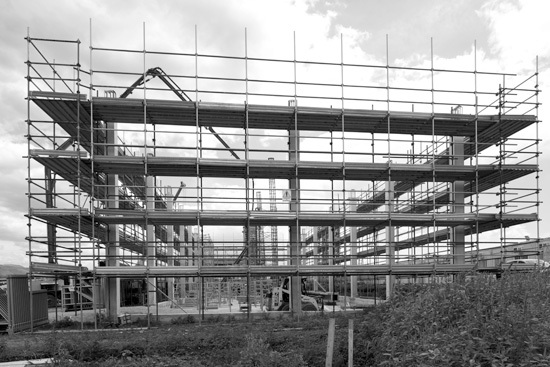 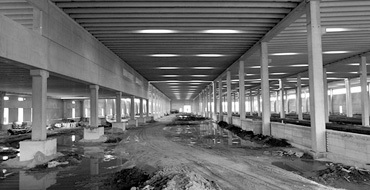 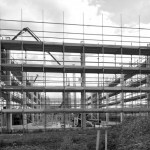 The five factory buildings feature a c.a.p structure, providing for the possibility of developing an intermediate mezzanine which would increase the useful surface area of each structure.